Turkey has become one of the world’s most popular tourist destinations in the past few decades, and whenever anyone talks about the appeals of Turkey there will be mentions of bazaars, hookah bars, kebabs and a wealth of historical and archaeological sites. 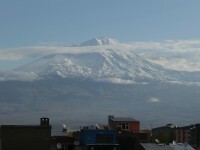 But as interesting as Turkish culture is, the natural beauty of the country also plays a part in attracting tourists. Turkey is surrounded on three sides by sea and one side by mountains, so it is graced with a nice climate and some interesting quirks of nature. While exploring Turkish culture and its delights, take some time to check out some of the natural wonders of Turkey as well. The surreal rock terraces that make up Pamukkale wouldn’t look out of place on another planet, or perhaps a book of fairy tales. 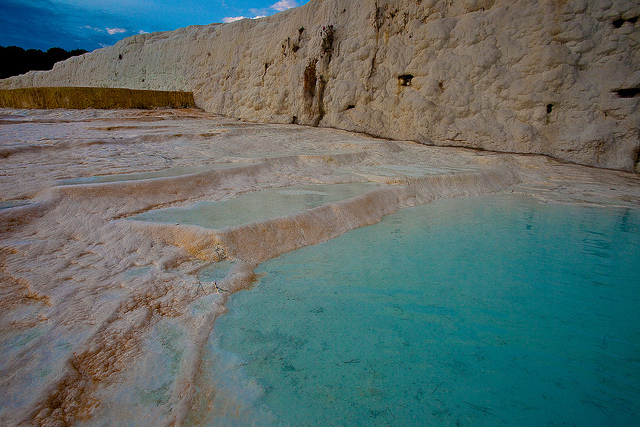 The glistening white travertines were created over the millennia by hot mineral springs. 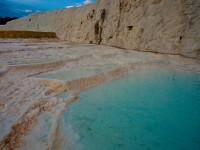 The terraces and pools of Pamukkale has been used by people for bathing for the past couple of thousands of years, and today they are one of the most popular travel destinations in Turkey for local and foreign tourists alike. 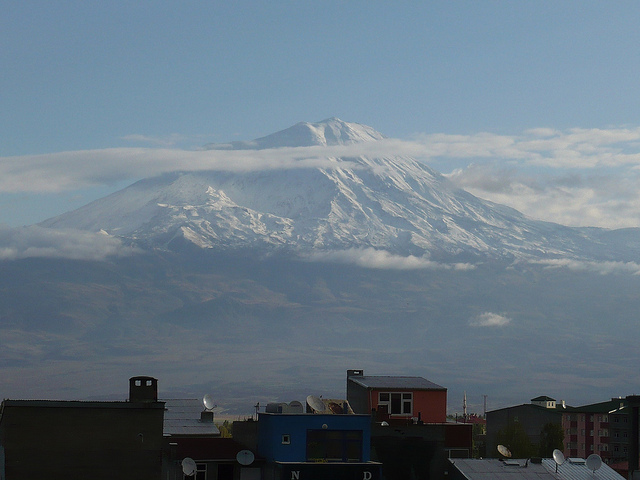 According to legends, the snow-capped cone of the dormant Ararat Volcano was the site where Noah’s ark got stuck after the flood, but there are many more legends regarding this beautiful mountain. The mountain has been attracting the interest of hikers since the early 19th century, and if you can get a permit to climb it, you will be rewarded with amazing vistas. However, the sight of the two peaks of the mountain in the distance is pretty stunning as well. The small village of Faralya has the most scenic natural setting anyone could wish for. The valley ends with a sandy beach and incredibly blue waters, and while the village and the beach are idyllic to say the least, if you climb the walls of the gorge you will see something even more amazing: swarms of colorful butterflies that live around the waterfalls in the gorge. The rare Jersey Tiger moths can be glimpsed in pretty high numbers in the area. 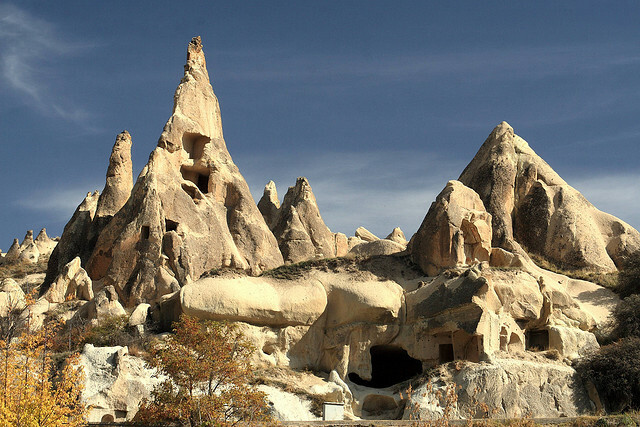 Cappadocia is famous for its ancient cave dwellings carved into the rocks, but if the place wasn’t so utterly beautiful in the first place, maybe Cappadocia wouldn’t enjoy quite as much attention as it does now. 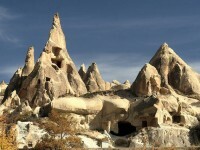 The unique historical and cultural heritage of the region is fascinating, but the sheer natural beauty of the fairy chimneys and interesting rock formations is definitely enough to make anyone want to visit this place.